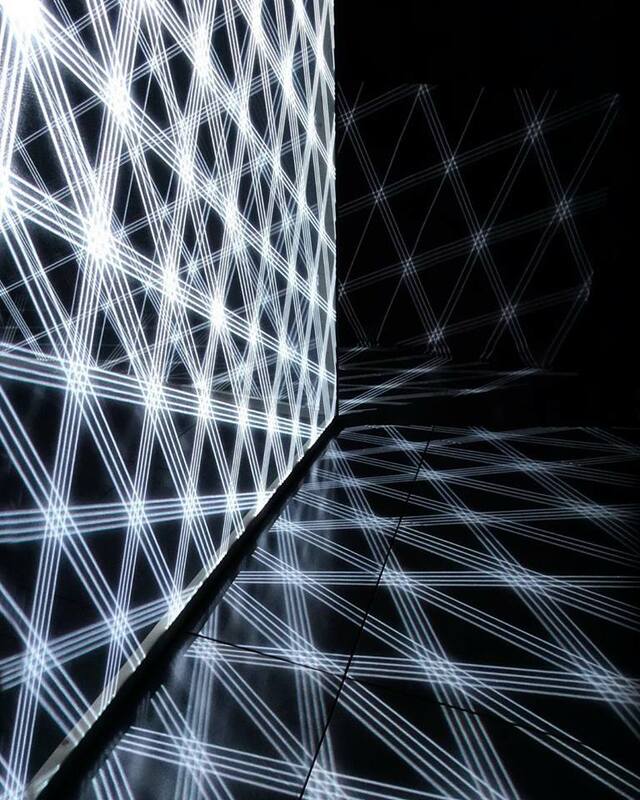 PLANS is an installation made of several planes of light transparent screens positioned as minimal sculptures. The quantity, size and position of the transparent screens can change depending on the space, number of projectors, possibles point of view. 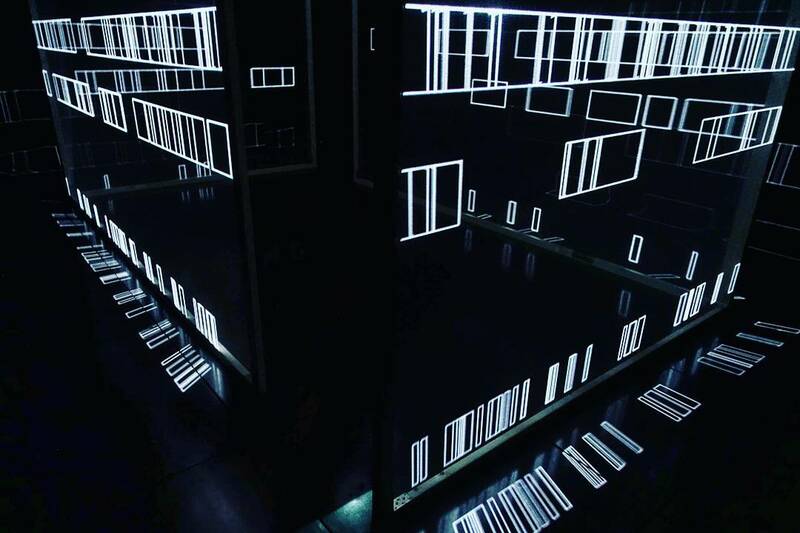 Joanie is projecting moving patterns onto these enigmatic canvases, developing a vocabulary made of geometric lines and shapes combined and organized to play with our perception of the space, creating a new three dimensional architecture made of flat planes. 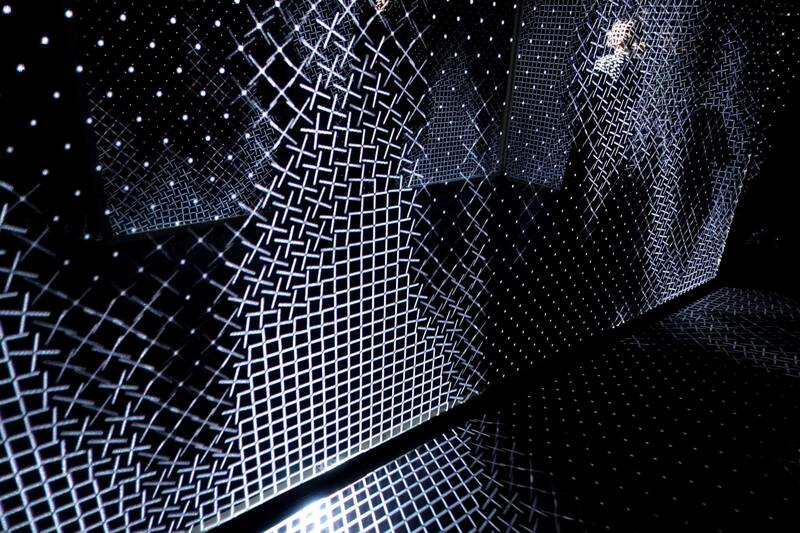 He is exploring compositions of floating elements, questioning gravity and weightlessness. Slicing the space allows him to contract, widens, expand, creating a moment of contemplation. Motion brings the dimension of time and explores the infinity of possible combinations. 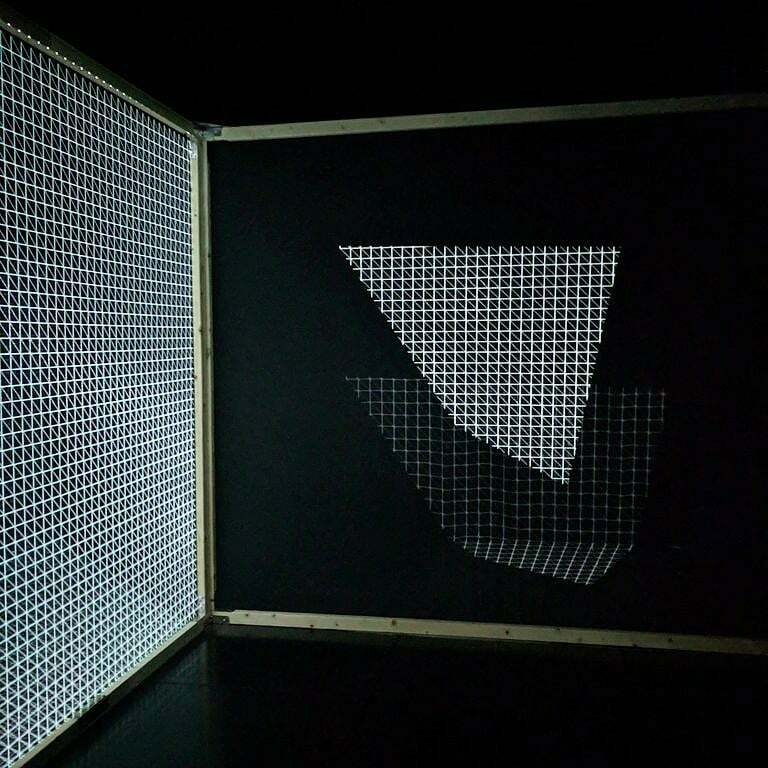 This is an immersive and contemplative experience, describing the space through dynamic projections of light, stratified surfaces, reflecting or semi-transparent materials.